INVESTOR ALERT! 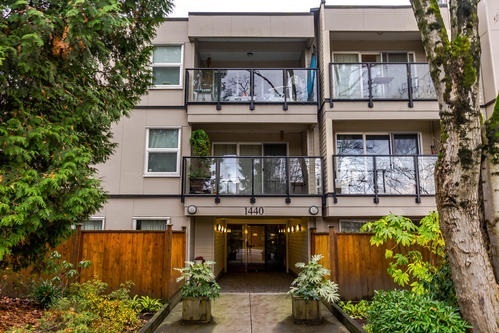 Great location walk to Commercial Drive Skytrain & shopping. Newly finished rainscreen-exterior, doors/windows w/10 yr warranty. Also newer roof, new plumbing 2011, new common hallways 2012, new elevator 2016. This sought after south facing (quiet side of bldg) 1 bdr & Den/Storage looks out to treed views of heritage homes. Updated suite w/laminate floors, new cabs/tile work in kitchen & updated bathroom plus a 70 sq ft covered balcony! Insuite laundry ok w/strata approvals. Rentals allowed & 2 cats ok, but no dogs. 1 parking included & lockers can be rented from strata.